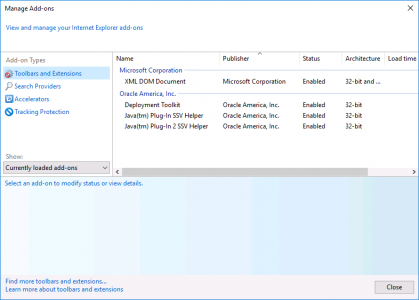 Windows PowerShell Copyright (C) 2016 Microsoft Corporation. All rights reserved. Note: You need Server 2016 Datacenter (Desktop Experience) version to do this. 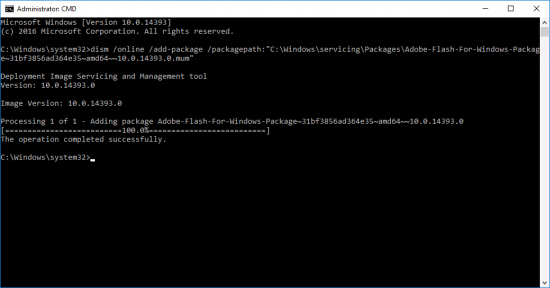 Go to the flash website and it (wrongly,) thinks you are using Windows 10 (we it’s the same code, I’ll let them off,) and it also says “it’s already installed just enable it”, but its not there? You will then need to reboot! 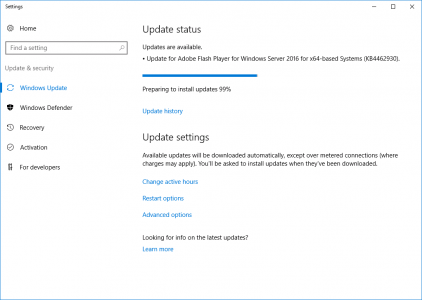 Post reboot, you will see Server 2016 will now download updates for Flash, and it’s enabled.